December 17, 2013 /0 Comments/in Christmas Ornaments, Women's Ministry Crafts /by Craft Supplies for Less, Inc. 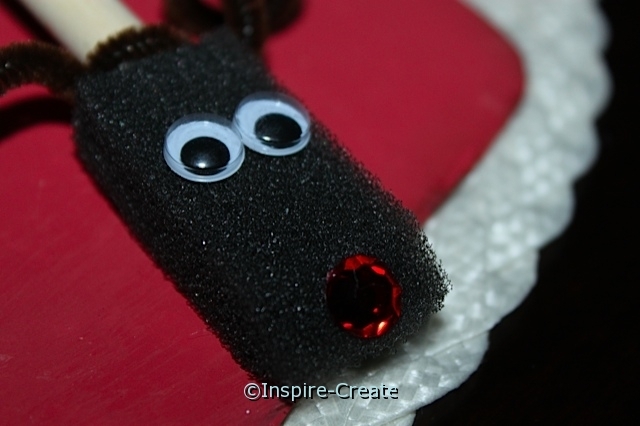 Here is another Christmas Ornament Idea for this holiday season… Reindeer Ornaments made from Foam Brushes! All it takes is a foam brush, a chenille stem, wiggle eyes, a red rhinestone for the nose, and some baker’s twine for hanging. Oh, and a few Mini Glue Dots to secure it all together. This light-weight ornament is unique and easy for kids to make. Not to mention these Reindeer will look great on any tree! Easy Reindeer Ornaments made with inexpensive Foam Brushes! These don’t require any cutting, prep time, or drying time. Great make and take craft. Perfect for group crafts! 1. 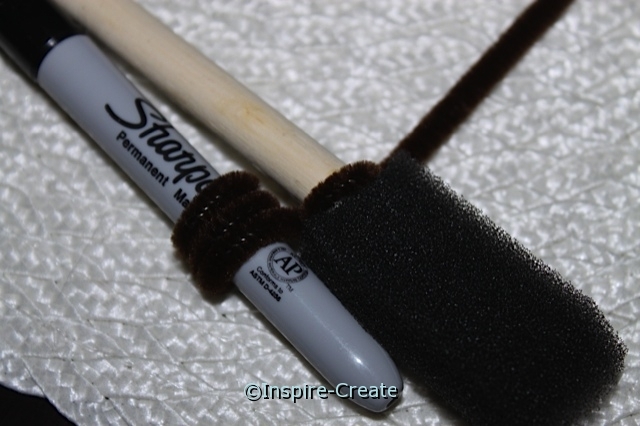 Start by placing a Brown Chenille Stem on the top of the wood handle (just above the foam). Center the chenille stem under the handle. 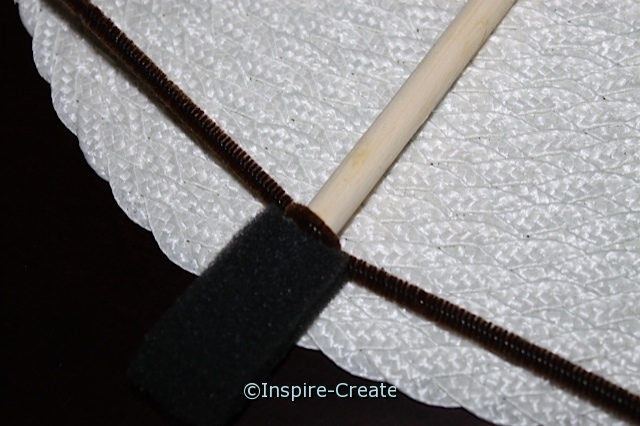 Wrap each side of the chenille stem around the back of the handle. Twist once to secure the chenille stem to the wood handle. 2. 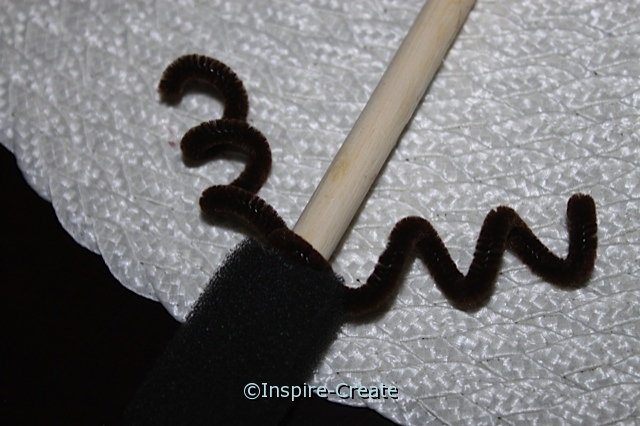 To make the antlers, twist the chenille stem around a Sharpie Marker or a drinking straw to make tight “curls”. 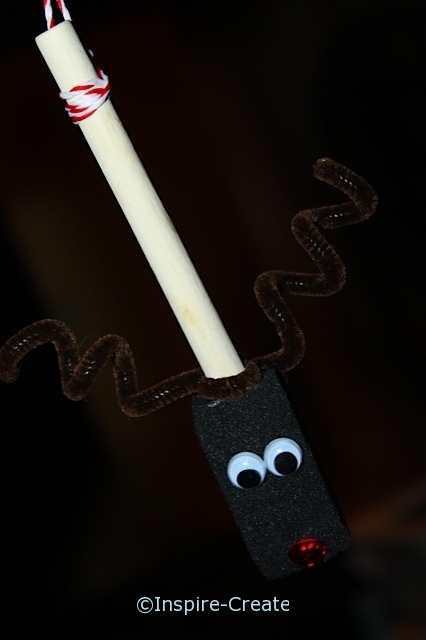 Once wrapped, simply slide the chenille stem off the marker or straw. 3. Holding each end of the chenille stem, pull apart gently to create the Reindeer “Antlers”. Here is what you should end up with. 4. Now it is time to add the wiggle eyes and a rhinestone nose! Add 2) 12mm Wiggle Eyes to the center and a 10mm Red Rhinestone or a Red Heart Gem to the Foam Brush with Mini Glue Dots. If you haven’t used Glue Dots before, they are AMAZING! They bond instantly and have a stronghold. There is no mess and no drying time needed. Here is an example of the Reindeer Face. 5. 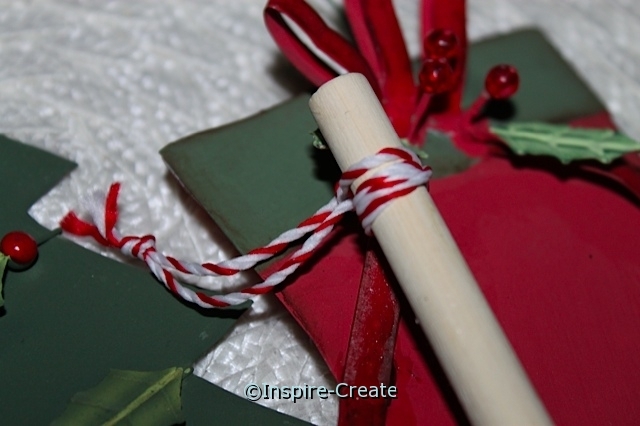 For an easy hanging ornament, wrap Baker’s Twine near the top of the wood handle. You can drill a small hole, however, we used a Mini Glue Dot on the back of the handle, tied baker’s twine to secure and wrapped the ends around the handle 4 times. Then tied the two ends together to make a loop for hanging. That’s it! If you would like, you can paint or stain the unfinished wood handle. Cooking oil or Mineral Oil will work like a stain and make the handle shiny. Plus it’s a great safe way for kids to finish the handle! If staining, painting, or finishing with cooking oil, do this step 1st and let dry before adding antlers, the face, and baker’s twine. We did not finish the handle for our example below. Let us know what you think! Share your comments below.